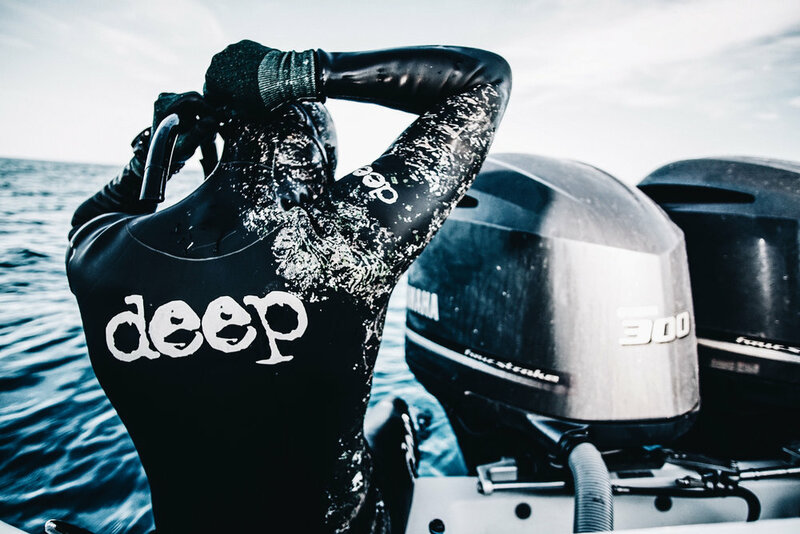 "AN ENDLESS PROCEDURE IN OUR SPORT IS GOING DEEPER. THERE'S SOMETHING MAGICAL ABOUT THIS. IT HAS TO DO WITH THE HUMAN NATURE THAT WE ALWAYS WANT TO EXPLORE, FIND, AND REDEFINE OUR LIMITS. A MOTIVATION TO MAKE ONE THINK THAT HE WANTS TO GO DEEP IS THE THRILL OF THE DEEP. IT HAS TO DO WITH THE FEAR OF THE UNKNOWN THAT IS INSIDE THE DEEPER WATER. IT HAS TO DO WITH THE DARK BLUE COLOR OF THE OCEAN WHEN YOU MOVE DEEP, BUT THERE IS A PATH THAT SOMEHOW WHEN YOU CROSS IT YOU BECOME FROM A KID TO A MAN." Deep ep. 1 - "Kynigi"